RHR Quality Management (QM) assures that products meet stringent regulatory standards, are safe and uniform, and meet company product specifications. RHR QM processes are thoroughly integrated into the manufacturing process. 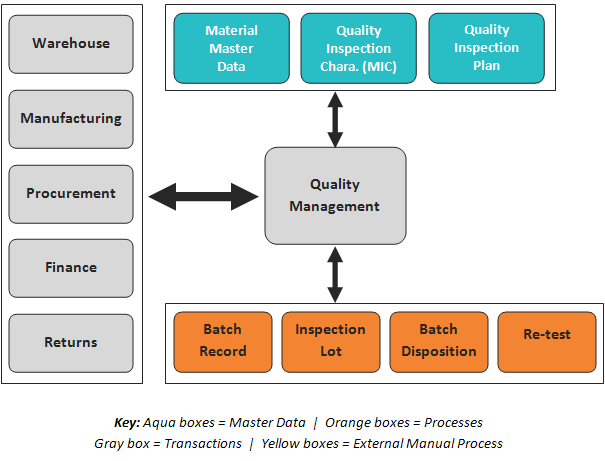 The Quality Management module covers all classic quality management tasks, such as quality planning (setup of data for QM tasks), quality inspection, and quality control. RHR has several QM terms that are important to note. Quality Planning: the creation and management of master data that is required to plan and complete inspections. Quality Inspection: the identification of whether an inspection unit meets specified criteria. Quality Certificates: documents that contain text, value, and inspection results, which are used to certify the material. Quality Notifications: the recording and processing of internal or external problems that result from poor quality. Quality Control: the combination of specification from inspection planning, results from quality inspections, and quality notifications form the basis for quality control. Test Equipment Management: the management of test equipment in the form of master data records in RHR. 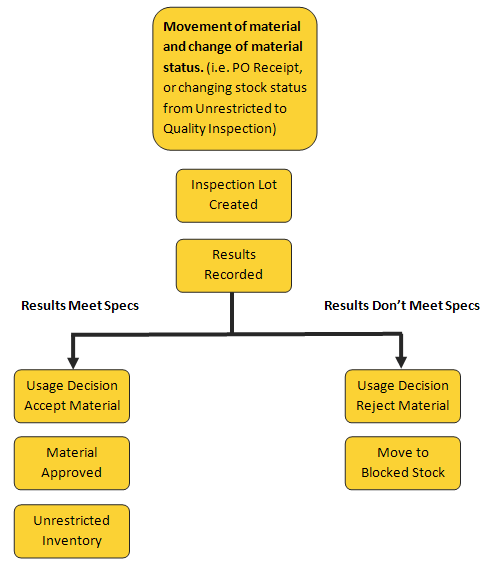 The following figure shows a sample flow that depicts typical tasks in the Quality Management process flow.